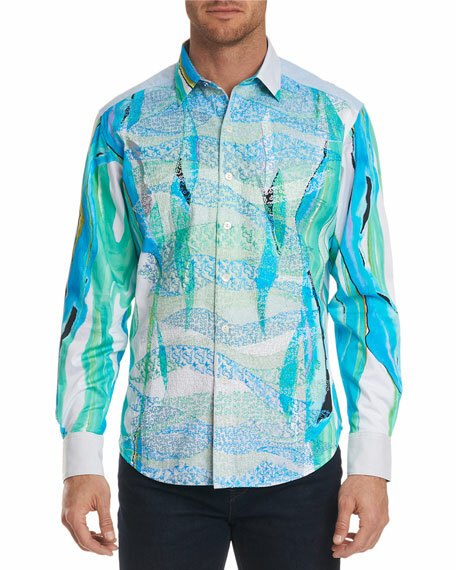 Robert Graham Limited Edition "The Merman" sport shirt in graphic aqua pattern. Features unique details and embroideries with designs that are one of a kind. Each Limited Edition Sport Shirt is individually numbered. Mitered barrel cuffs; contrast reverse. 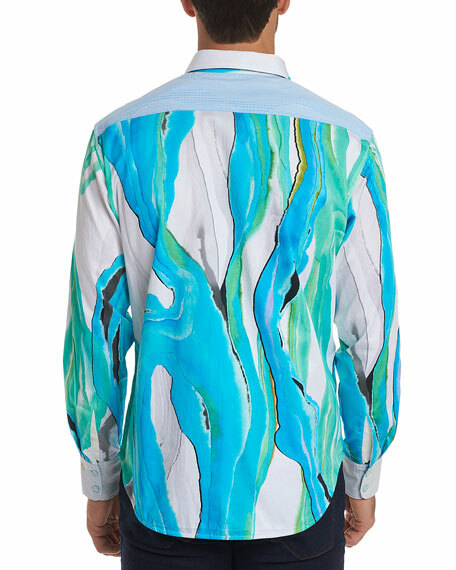 For in-store inquiries, use sku #2638529.